It's a great time to become a homeowner. 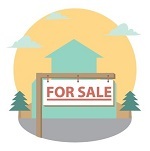 With a stronger economy, many people find themselves looking to invest in their first home. Or, they want to dip their toe back into the real estate market after being burned a decade ago. Still others might simply need a tax break. How much a home costs usually tops the list of whether or not you're going to purchase a particular property. However, there are several other factors you should also consider when buying a Havasu home. And they're just as important. Size matters in more ways than one when buying a Havasu home. You want to be sure that you have enough room to house your entire family (both current and possible future members). But, with a bigger home comes bigger utility costs. As you know, Havasu summers can be brutal on air conditioning usage. Make sure you can afford to heat the property in the winter and keep it cool within a reasonable budget during the scorching summer months. Ask the seller how much their utility bills vascillate between the summer and winter. You just found this home. You haven't even moved in yet. 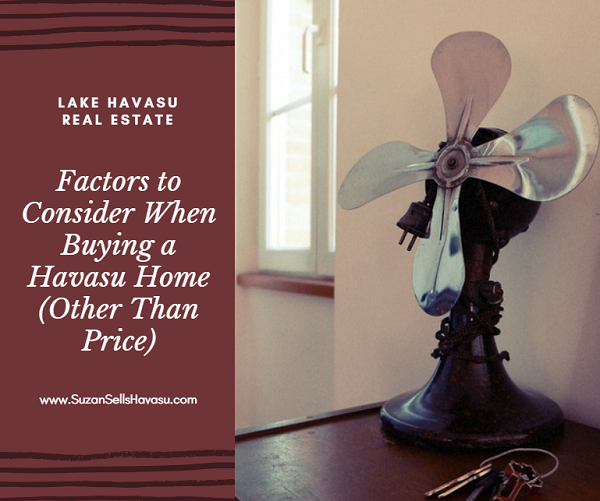 So, why would I be telling you to think about resale value when you're in the process of buying a Havasu home? Because, more likely than not, you will be selling it sometime down the road. How does it compare to other homes in the neighborhood in size and amenities? Can you easily update the property to fit with current market trends? If you do decide to sell it at some time in the future, you want to make sure to appeal to as many other buyers as possible. Living right next to a school may sound like a great idea when you're buying a Havasu home. After all, walking your kid to school everyday seems like heaven, right? But what about listening to hundreds of kids shuffle by your house two times a day, five days a week? Or dealing with traffic from buses and cars as children are dropped off and picked up from school twice a day. Having schools located nearby can be convenient from a transportation aspect but might create noise pollution you're not interested in listening to on a daily basis. Visit the neighborhood during early morning drop off and afternoon dismissal times to gauge regular school day life at your potential new home location before deciding if this property is the right one for you.